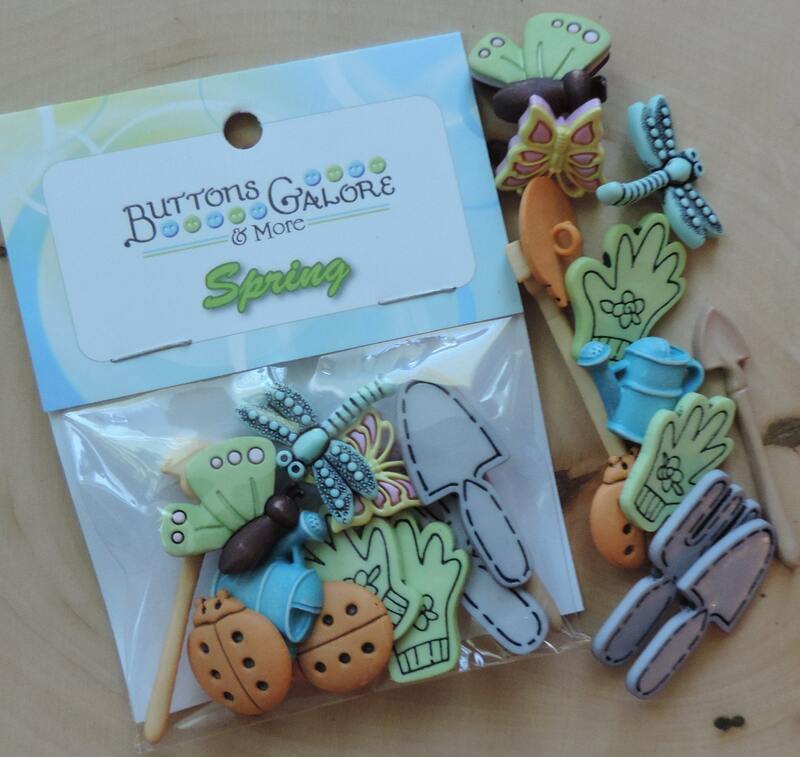 Cute detailed shank back and sew on buttons by Buttons Galore and More. 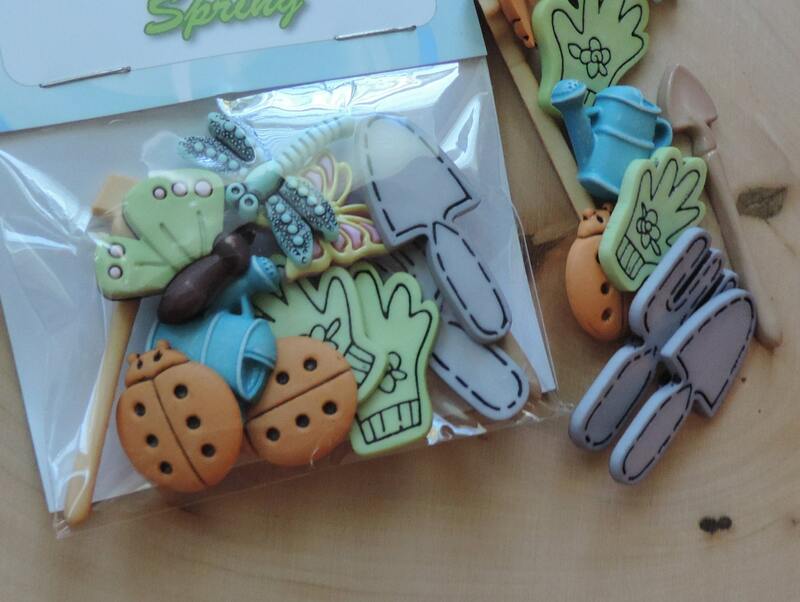 Packaged "Spring Garden" 4452. 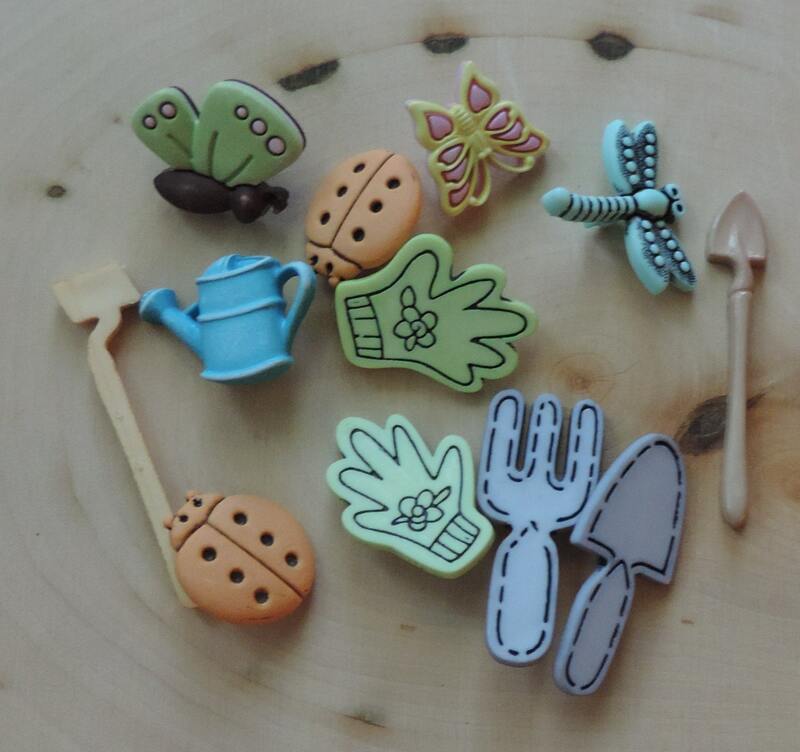 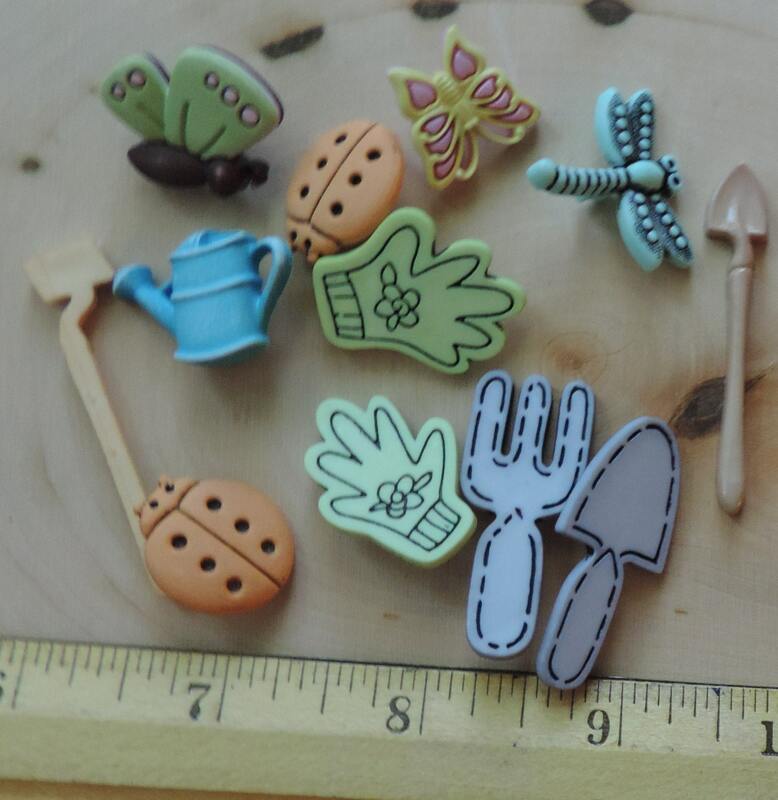 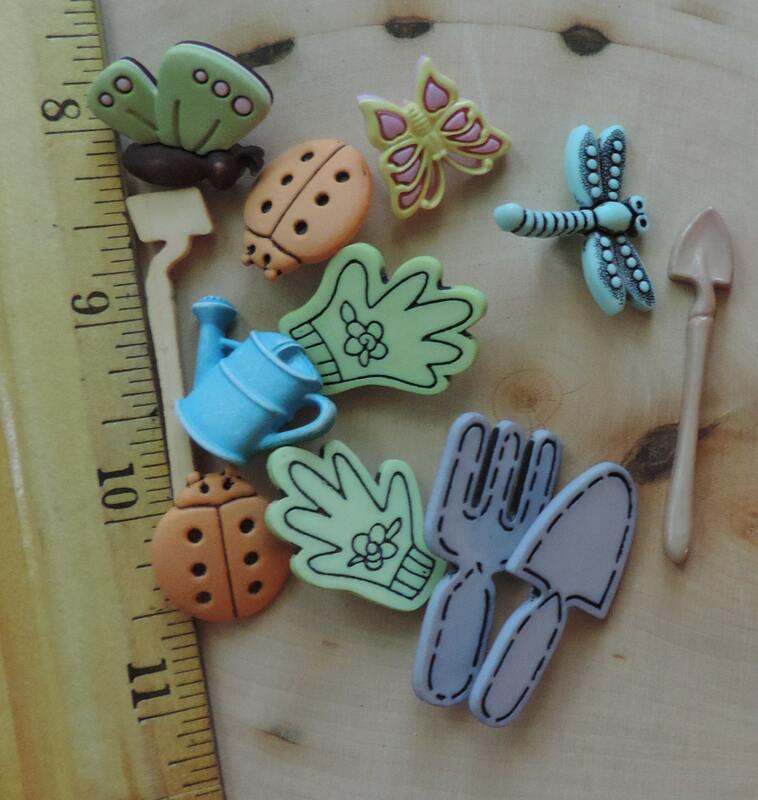 Includes gardening tools, butterfly, dragonfly, watering can and more.